Physical Therapy is a highly effective, proven, and widely accepted treatment for relief of body pain, and promoting of the restoration of mobility and functionality in the body. Rather than the use of drugs or surgery, the application of specialized physical methods is utilized to treat pain syndromes and injuries. High tech and high touch specialized physical exercises are effectively utilized to ease and treat head pain, neck pain, and a wide variety of other common physical issues individuals are suffering with and conditions that have brought about a lack of mobility. 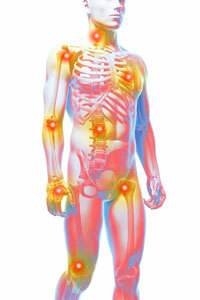 Physical therapy is an option that very successfully addresses many pain conditions. Contact us today about scheduling your consultation for beginning your own Physical Therapy Treatment Regimen! A skilled professional physical therapist can help teach new habits and a range of healthy exercise techniques to treat and heal many painful conditions. The choice of physical therapy is an effective alternative to surgery and the use of medications that usually mask the pain and only bring temporary relief without addressing the causes. At our Queens, N.Y. Pain Management Center location, our expert therapists will get to the root of your discomfort, lack of mobility, dysfunction, and chronic pain. They will form a proper diagnosis, outline the path your rehabilitation, and return to functioning normally in a stress- free life. Through the use of holistic approaches, conditions causing physical distress such as back pain, neck aches, arthritis, fibromyalgia, and whiplash are effectively treated by our expert therapist at the Pain Management Center in Queens. Why suffer any longer or attempt to treat your own discomfort? Contact us today to bring quick pain relief!